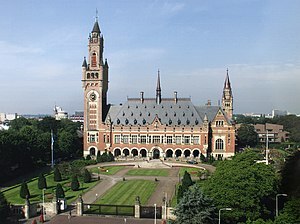 The Peace Palace in The Hague, Netherlands, which is the seat of the International Court of Justice. Français : Le Palais de la Paix, siège de la Cour internationale de Justice à La Haye (Pays-Bas). 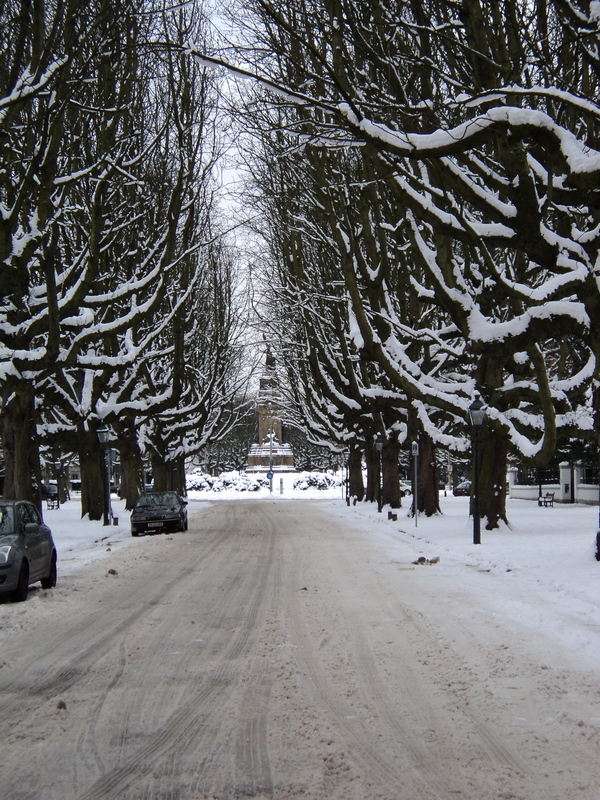 (Photo credit: Wikipedia Den Haag is famous for the Hague and the Peace Palace. Unfortunately for me, I did not visit the palace because I was unaware that you had to book a little in advance. Tomorrow I leave this city bound for Switzerland and must accept that the Peace Palace will not be an achievable goal. Instead, I discovered two beautiful museums and each very different from the other. Den Haag is the city famous for the Hague and the Peace Palace. I unfortunately did not realise that you need to prebook several days in advance to see the palace. 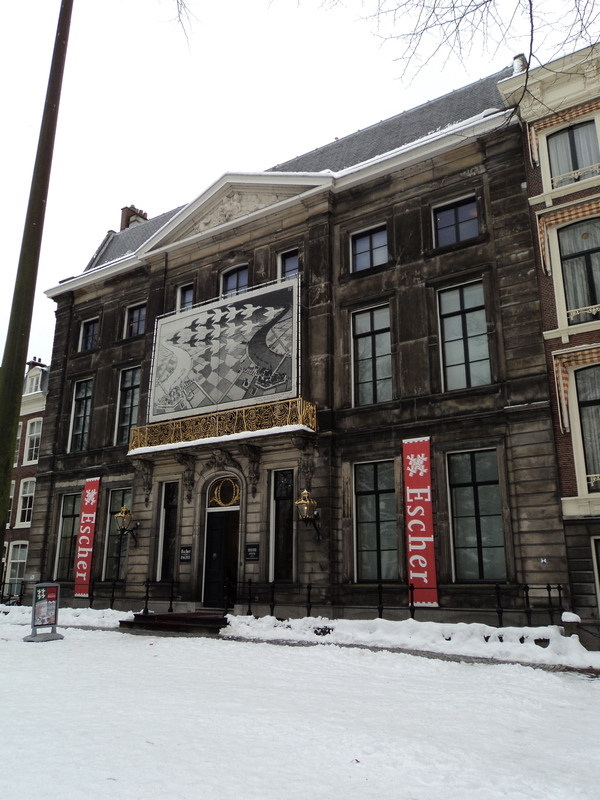 I am disappointed and so must contend with discovering what else the city offers.My Aussie roommate last night, talked passionately about an artist who is exhibited in the former residence of Queen Emma. I have never heard of the artist, but when I am shown photos of his drawings I am completely in awe of his genius skill with the humble pencil. Any excuse for being indoors out of the cold heavy winter weather is always going to be the best option. 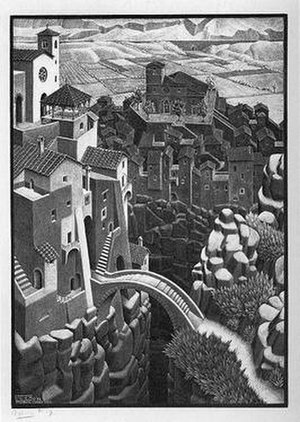 What makes Escher so utterly unique, is his perception and mastery of taking the ordinary into something extra-ordinary. He views the world with a different perception and create worlds so beguiling and entrancing. 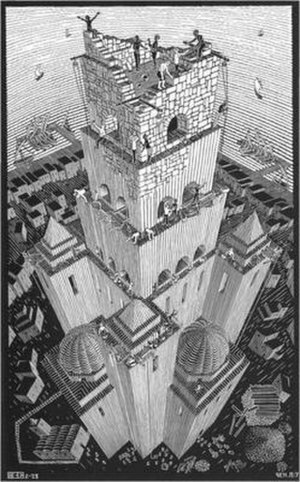 So picture is ever the same and you cannot help falling into them as you stare and try to follow the logical perception of his drawings. There is no logic and that is what is so wonderful about his skill. I am glad to be given the opportunity to see a different form of art, that may not be as famous as many other well-known artists, but one that I certainly recommend if you are into the world of make-believe. 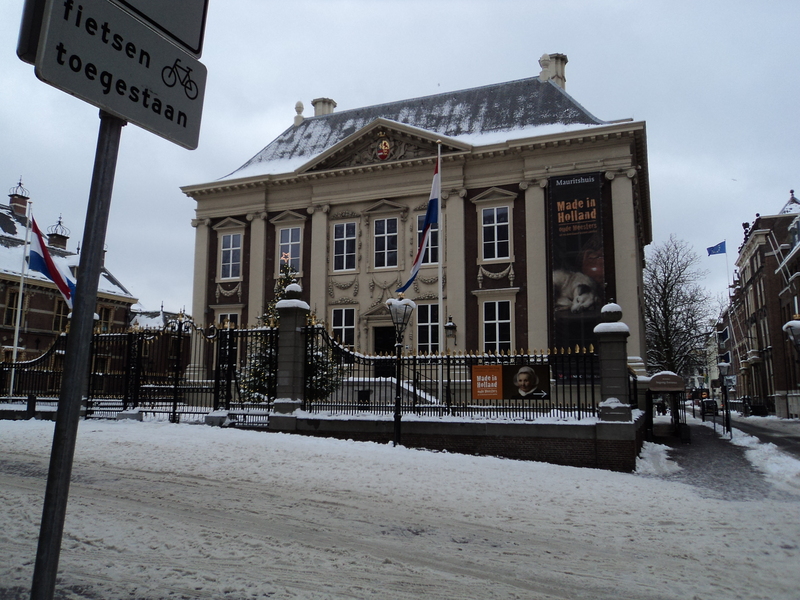 Not far from this small museum is the larger Mauristhuis , a gallery housing the Dutch Masters. If you love masters such as Rembrandt, Rubens, Ruysdael, Holbein and Vermeer, then this gallery is the perfect place to see their brilliance. 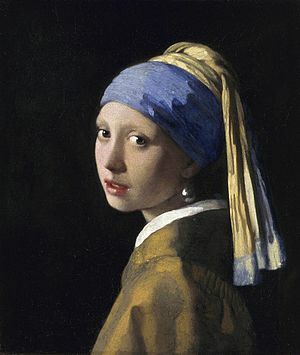 The most famous painting in the gallery, is the very beautiful ‘Girl with a Pearl Earring‘ by Vermeer. My love of art is not from a critical expert point of view, but simply through the enjoyment that each painting can evoke within me. I cannot paint or draw for anything, so for me to see others who have such wonderful skill with a paintbrush or pencil, is something to admire and behold. Although, all the painting are special, my favourite are by a lesser known artist Adrien van Ostade. His paintings are a comical depiction of peasants in their natural surroundings i.e their homes or farms, and it is the comical expression on the characters faces or the scene of chaos within the homestead, all painted using beautiful rich colours, that I loved. Den Haag may not be a beautiful city in the sense of the word, but I enjoyed walking around and trying not to slip over on the ice. What I loved about the Netherlands, is the ease in communicating with the people. They have a wonderful grasp of the english language and speak so clearly and with a great accent. I never questioned if they could speak English because I feared that I may offend them. The food here is simple and very hearty, but what I loved the most is the waffles. For two euros, I brought a packet of ten waffles that were delicious. Golden and crisp on the outside, but when you bite into one, it is gooey and sweet. I am ashamed to admit to eating all ten within a short space of time, but I did savour them a little.